Struggling families, and those professionals supporting them, can hold onto hope with the knowledge that the MPAS (Male Postpartum Abandonment Syndrome)* Epidemic can be healed. For families to thrive, many people need to be involved with each child, creating more support around them. With proper support, a couple can stay connected. Its partners can tend to their personal needs and even heal any childhood trauma that surfaces with parenthood. It is vital that parents and children be strongly attached. Sometimes this requires extra work from the partners, and they need additional support to do this work. See the resources section for more information about how to support families to thrive. We are then able to do something about it. We’re calling this collective challenge the MPAS Epidemic. If you haven’t already, you can read more about it here. A family challenged by disconnection suffers. Nearly all parents will strive to meet the family’s basic needs of food, clothing, and shelter. However, other needs, like affection and appreciation, require vulnerability and an extension of themselves toward their partner or child. Weary parents are less able to be vulnerable, so connection-based needs go unmet. When our needs for connection go unmet, stress can cause disease and other symptoms in the physical, emotional, mental and social realms. Nuclear family life can be unhealthy and is not often sustainable. Parents need a tribe to create a healthy family. ❤ Connection with self (which can get lost as one becomes a parent). ❤ Connection with a partner. ❤ Connection with the child(ren). ❤ Connection with family and close friends. ❤ Connection with extended family and friends. ❤ Connection with social circle, a larger community–ideally one with a fulfilling purpose and joy. 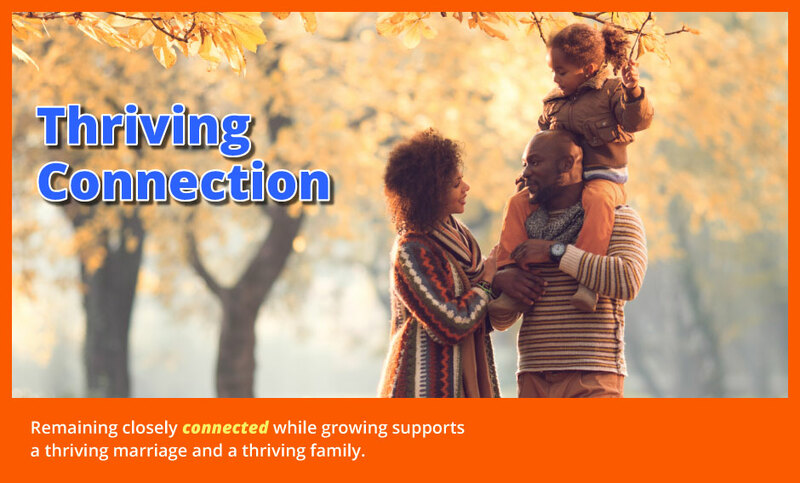 To be able to tend to their connection needs of all kinds, parents need support from outside the nuclear family. In this culture, we don’t live in tribes, so we need to create a replacement. We can’t go back to that day—we need to move forward, living into something that represents a shift in our fundamental ways of life, especially for families who are having their first baby. Helping professionals supporting parents during this critical time can help them understand what is happening, often avoid pitfalls, and point them toward healing opportunities and solutions. Let’s explore a different kind of family living. Let’s look beyond the nuclear family structure, in which a couple, or single parent, is trying to figure it all out on their own. Let’s work together to help parents find their way to thriving. A thriving, growing family has layers. It makes a big difference when a child is wanted, and a couple is prepared. The family needs to start with a full cup, but many do not, so there’s extra work to be done. If a community is strong and prepared to welcome the child and care for the family, it has another healthy layer. Preparing the relationship, the home, and the community. Transitioning to becoming parents is intense—physically, emotionally, mentally, spiritually, socially. Doing personal healing and growth work, as each parent grows into being a mother or father. Tending to the growing and changing relationship. Discovering what a new balance might be between self, partner, child, work, family, friends, and other interests. Each phase requires time and attention. All phases benefit from a supportive tribe. Historically, humans have always lived in groups—extended families, tribes, and close-knit small villages and towns. Since the industrial revolution, our tribes have been splintered across the country and even across the globe. Some families have an active neighborhood community where families get together for meals and play and activities. Some find community within a church or school. Some have a group of friends that stay connected as partnerships in the group shift into parenthood. Some families find community within a favorite recreation or activity. If none of these apply, parents may feel isolated and without community. Many parents find themselves feeling disoriented, alone, isolated and painfully without community at some of the most critical junctures. This is when support is needed most. As a family expands to include children, it’s imperative to include more people in the family. To define their tribe, a family needs to know what support they would like—to be open to support and then to find or cultivate it with loving, willing people around them. The community, in turn, needs to be ready to answer the call and nurture the growing families. This transformation needs all of us, and fostering it is a main purpose of Connected Couples—Thriving Families. Our goal is to provide resources for you, as a helping professional, to act as a guide for families who need and want support. Since we’re presently far from a tribal structure, a good place for couples to start is to be willing to notice where support could be helpful, and find guidance toward support. Keeping in mind that dads’ needs are critical, too. Connecting with dad, and supporting dad, can be another way to support and nurture mom/babe. Any community built around the parents makes a difference. If members of a community are aware of a new family, ideally they will ask regularly what they can do to support them. They may have to ask more than once before the family will accept their support. They may also need to be reassured that they won’t be judged for a messy house, messy hair, or for being not such great hosts or company. A growing family needs to be taken care of, not to be hosting guests. This can take longer than the entire first year. The second step is the need for a couple to stay connected. In order to tend their relationship, a couple needs to have support with their child(ren) so they can have time together. 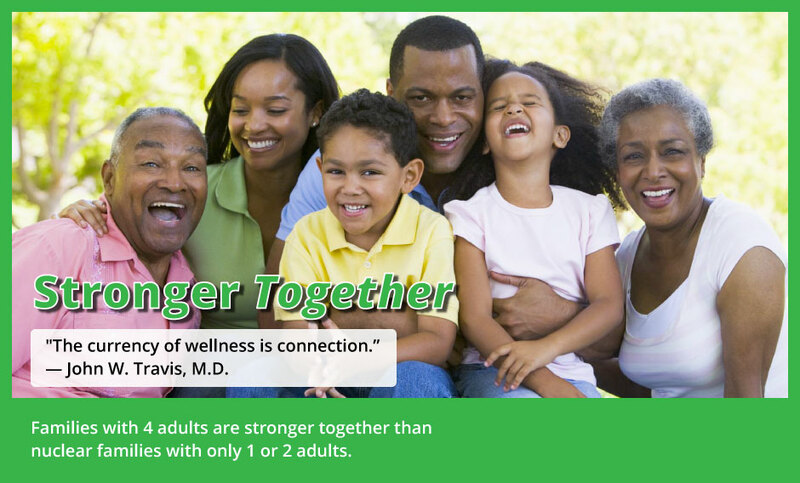 To get healthy support, additional caregivers need to be close to the children. The solutions are also layered. each, independently with their child(ren) to establish and maintain closely attached bonds. building community ties they can trust. For most families, this is a shifting time where the social web needs to be actively grown, nurtured, and sometimes even reconfigured. Going from life as a couple into life as a family often means new rhythms, new constraints on time, and a lot of uncertainty. To complicate matters, as soon as the couple establishes a rhythm and routine, the baby grows and changes—along with everything else about life. The first few years can be full of constant change. The couple may not even know what they need—they may not know what kind of help to request. Societies that were most successful generally revolved around the mother/baby unit, or the growing family if there was more than one child. The whole tribe or clan considered themselves a growing family when a new baby was born into the community. All families took care of the kids, even if they weren’t born into one particular pair of arms. All kids belong to all of us. If this is the case, how does a community participate with a growing family? How can it better support a growing family? How can it form a tribe around a growing family, or how can a growing family generate a community around themselves? Sometimes families are so private that it takes quite an effort to build trust with another family in order to watch the child for tired parents, or to even know what to do to support them. It’s important for growing families to know that it’s ok to ask for help. Families can begin by making a list of needs that would make life easier and more enjoyable, and a list of people they know. This is the start of asking for help. Then, either on their own or with support, they can begin making connections with people who can meet some of their identified needs. But How? How do we build community? This is a huge question in our culture today. How do we create relationships that feel safe when we are vulnerable and need support? We need to revitalize our partnership/parent-couple relationships—and build community around them. Let’s together take the first step and turn this epidemic on its head—let’s grow together toward a thriving future for families.